Monday, January 28, 2019 – Ringo Starr and his All Starr Band today revealed additional tour dates for this year. 2019 marks the 30th Anniversary of Ringo and his All Starr Band, who played their first show on July 23, 1989 at the Park Central Ampitheatre in Dallas, Texas. The first leg of 2019 tour dates will begin with one US show at Harrah’s Resort Southern California on March 21st before the band head to Japan. The Japanese tour will launch in Fukuoka on March 27th and wrap up April 11th in Osaka. 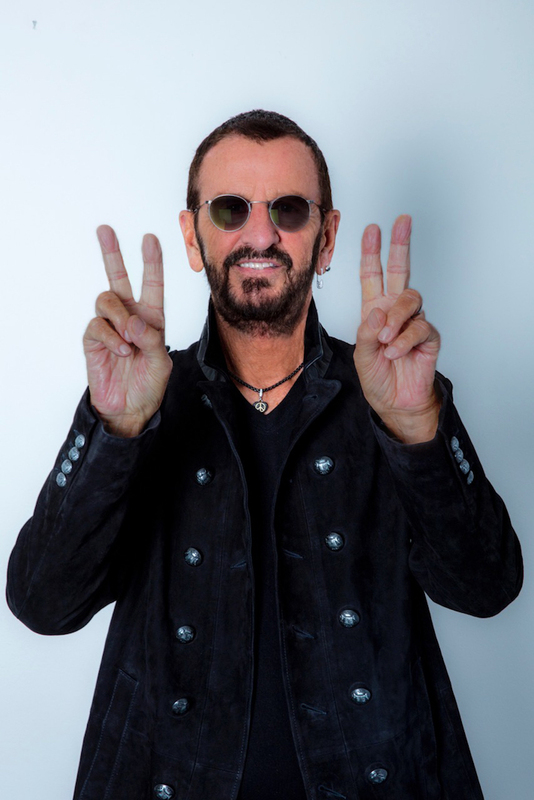 This July 7, 2019 Ringo will return to Capitol Records Tower in Los Angeles for his annual Peace & Love Birthday Celebration, where he joins gathered fans and invites anyone anywhere around the world to think, say or post #peaceandlove at Noon their local time. This creates a wave of Peace & Love across the planet, starting in New Zealand and ending in Hawaii. Ringo began these in 2008 at the Hard Rock Café Chicago and last year he celebrated the 10th Anniversary at the Hard Rock Café Nice. In the ensuing years it has grown enormously and in 2018 there were Peace & Love events in over 60 countries. Details for the 2019 event will be announced in the coming months. Shipping now is Ringo's signed, limited edition book, Another Day In The Life. The third in Ringo's series of books with Genesis Publications, following the sell-out success of Postcards From The Boys (2003) and Photograph (2013), Another Day In The Life presents a previously unpublished collection of his photographs, captioned with his own thoughts and anecdotes. Reflecting his love of music, travel and nature, Another Day In The Life shows us the world as seen through Ringo's eyes. From Los Angeles to Tokyo and everywhere in between, many of Ringo's observational images celebrate the quirkiness of life. Other photographs are taken behind the scenes during historic events, such as Ringo's acceptance of a Grammy Lifetime Achievement Award and his return to New York's Plaza Hotel, 50 years after The Beatles first visited the USA. Joined by Paul McCartney, Joe Walsh and a host of All-Starr friends, in Another Day In The Life Ringo Starr shares personal moments from a legendary life in music, and offers a unique and inspiring look at the world around us. Proceeds from the sale will go to Ringo's Lotus Foundation charity. For more information go to www.ringobook.com. Born Richard Starkey on July 7, 1940, Sir Ringo Starr knew “at a very young age” what he wanted to do. Since beginning his career with The Beatles in the 1960s, Ringo has been one of the world's brightest musical luminaries. He has enjoyed a successful, dynamic solo career as a drummer, singer, songwriter, collaborator and producer. He is a longtime advocate for humanitarian and environmental causes. Throughout his career he has received nine GRAMMY® Awards, and has twice been inducted into the Rock and Roll Hall of Fame -- first as a Beatle and then as solo artist. Between 1970 and 2017, Ringo has released 19 solo studio records. He has acted in over 15 films, received an Academy Award®, and has been nominated as an actor for an Emmy®. Ringo has published four books, his most recent, 'Another Day in the Life' was released in November 2018. In March 2018 Ringo was knighted by Prince William, having been selected for the honor by Queen Elizabeth II for knighthood for his music and charity work. Genesis Publications was founded in 1974 in Britain as an independent publishing house true to the arts of printing and craftsmanship. Today, Genesis creates some of the world’s most sought-after books for readers in 90 countries, and in 2017 is celebrating its 100thedition (see more at genesis-publications.com).